A picture says a 1000 words! This comes up so often in my sessions and I think we’ve all been there on some level. So why do we say “we’re fine,” when we’re far from it? Why do we feel we have to act okay when there’s a demon lurking in the shadows? Is it b/c we fear the reaction if we tell someone we love that we’re feeling anxious, depressed, or overwhelmed? 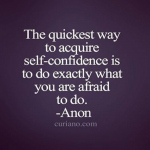 Or is it that maybe we are afraid to admit it to ourselves? 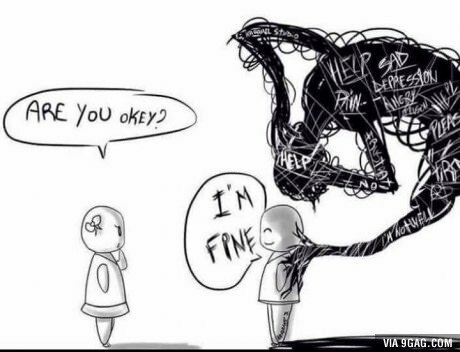 Maybe on some level if we tell others we’re “fine,” then we’ll believe it more ourselves. 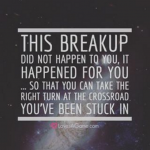 Can Breakups Be a Blessing in Disguise? 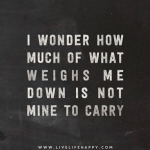 Are We Carrying More Than Our Load? © 2016 Holding Hope MFT. All Rights Reserved.